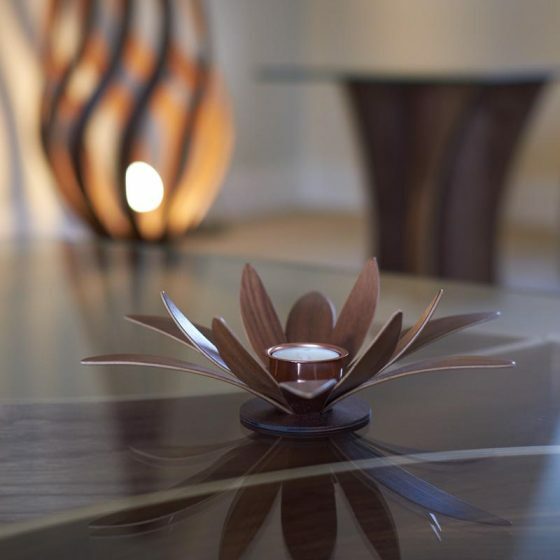 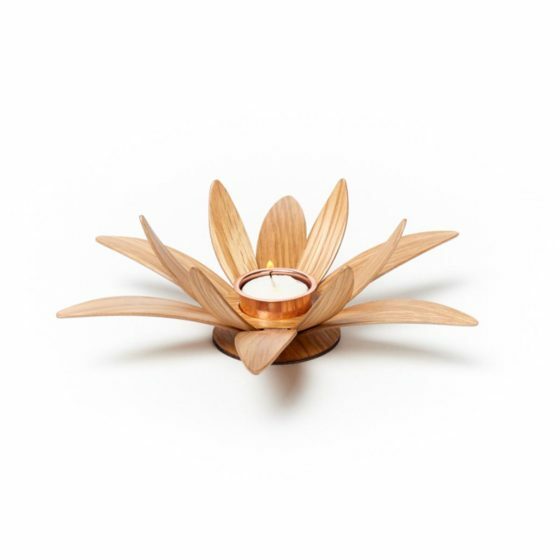 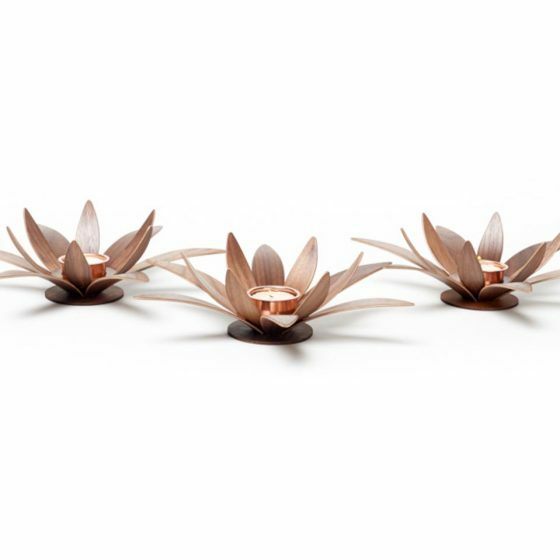 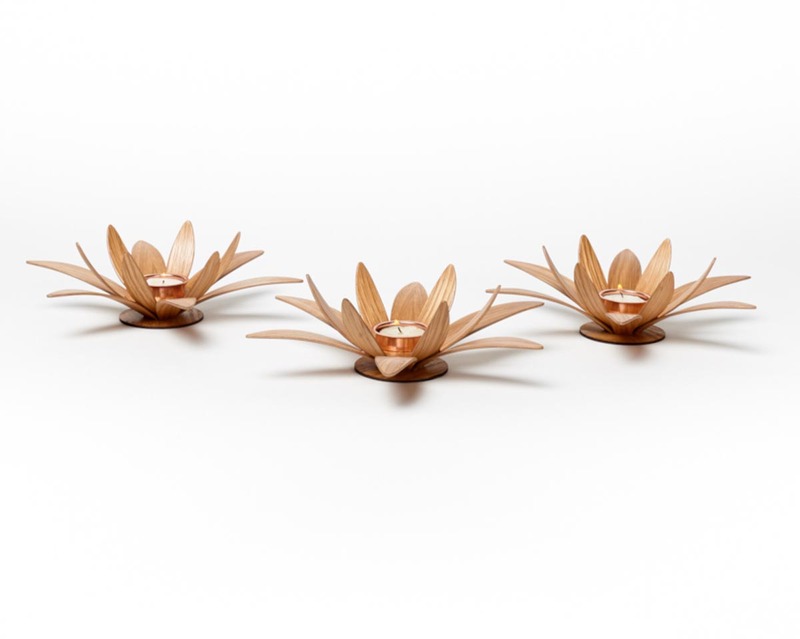 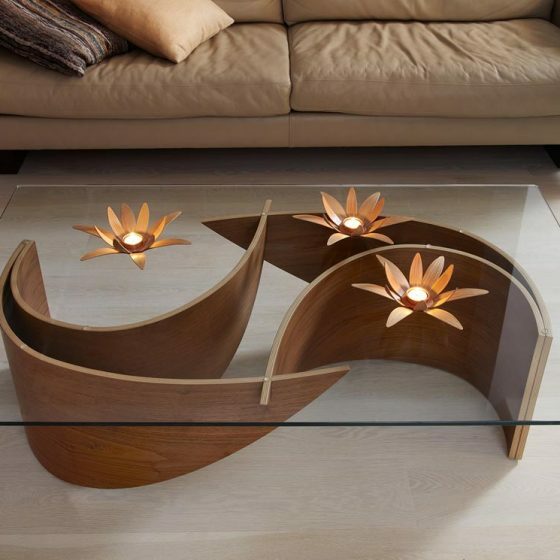 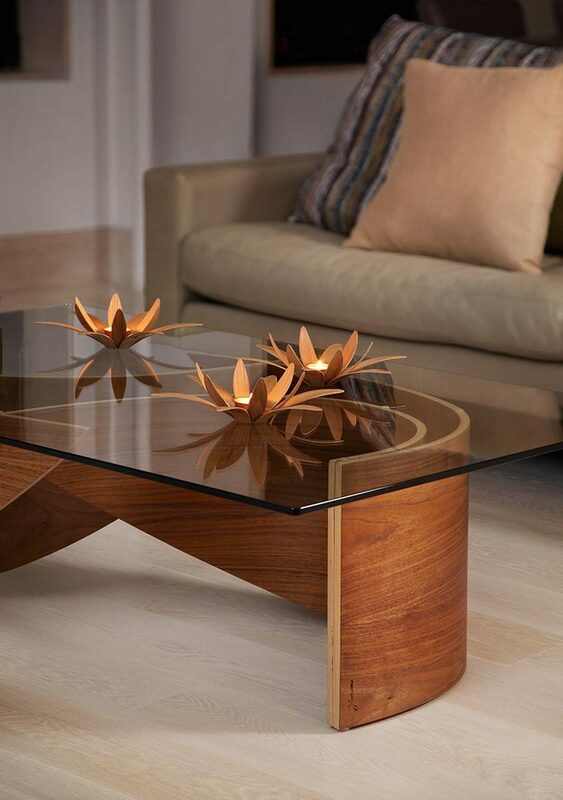 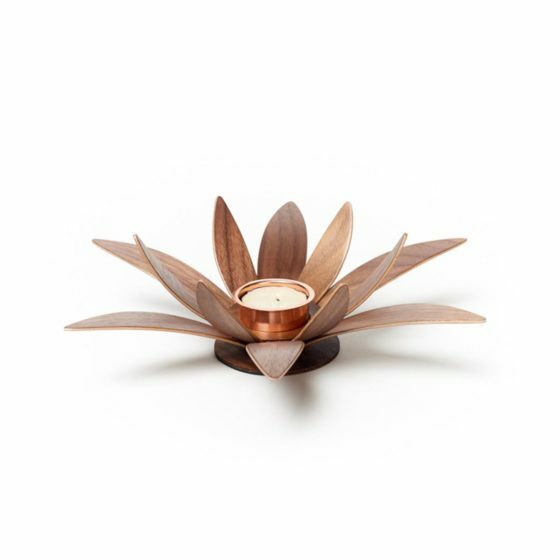 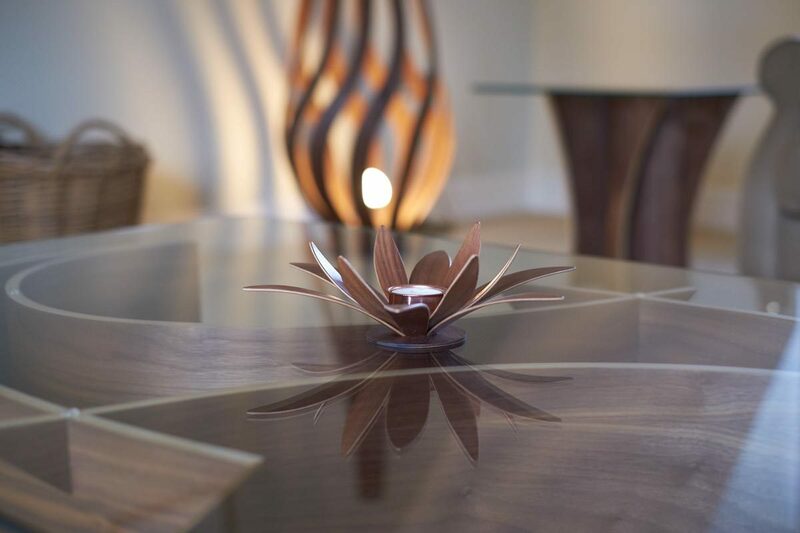 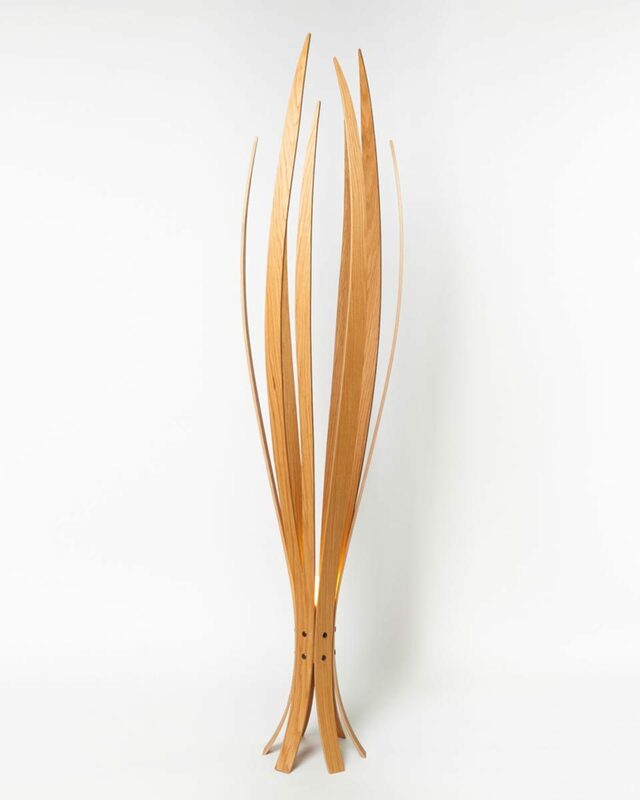 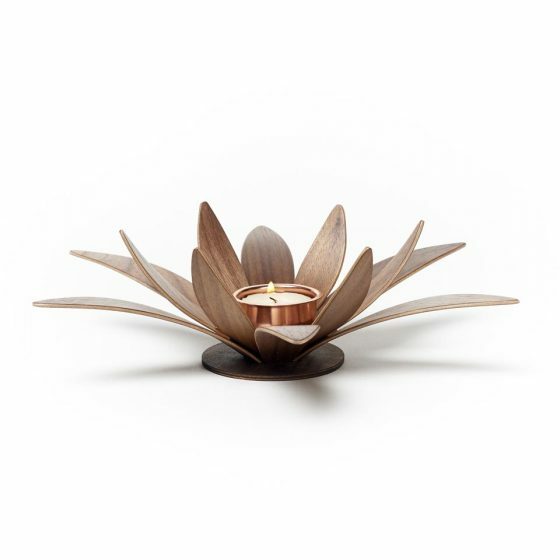 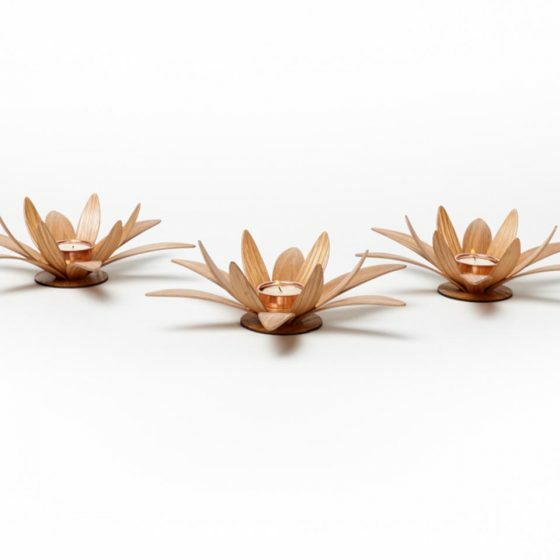 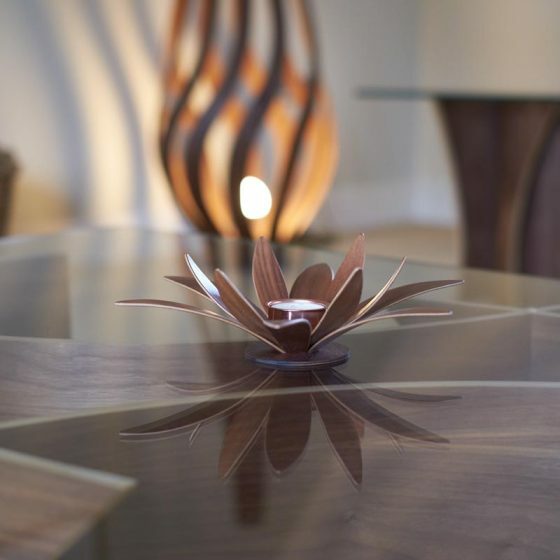 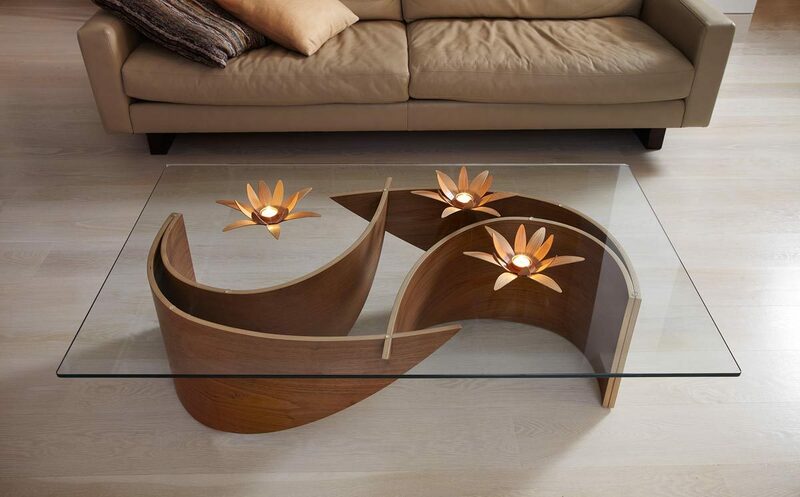 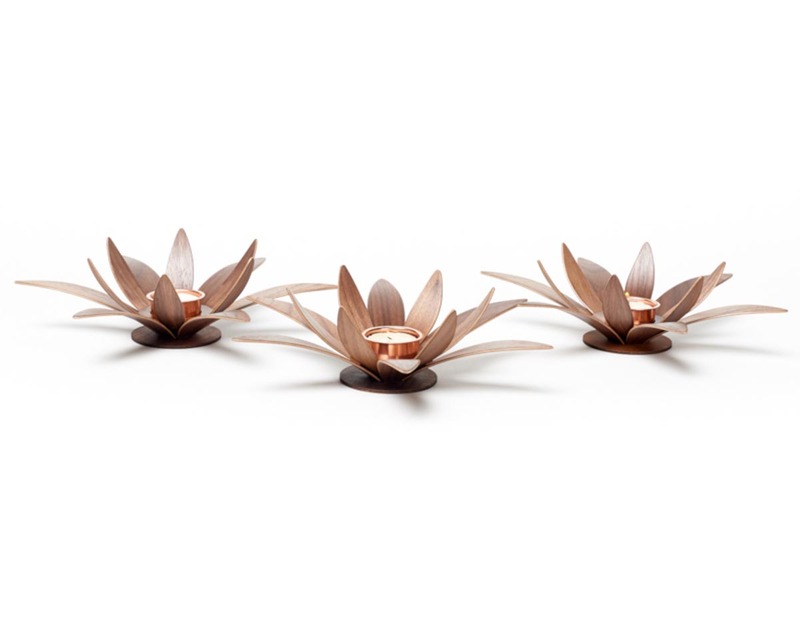 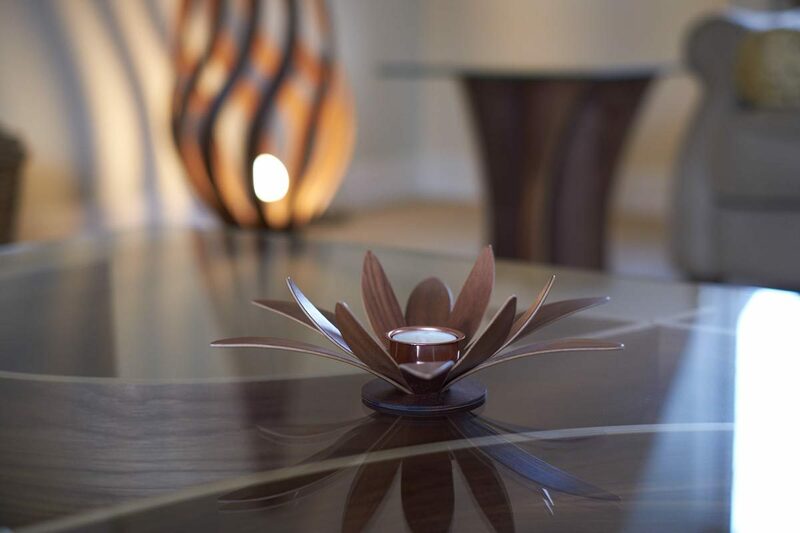 The Lotus tea light facilitates the beauty and form of the Lotus pendant to create a desirable and unique tea light holder. The Lotus tea light facilitates the beauty and form of the Lotus pendant to create a desirable and unique tea light holder. 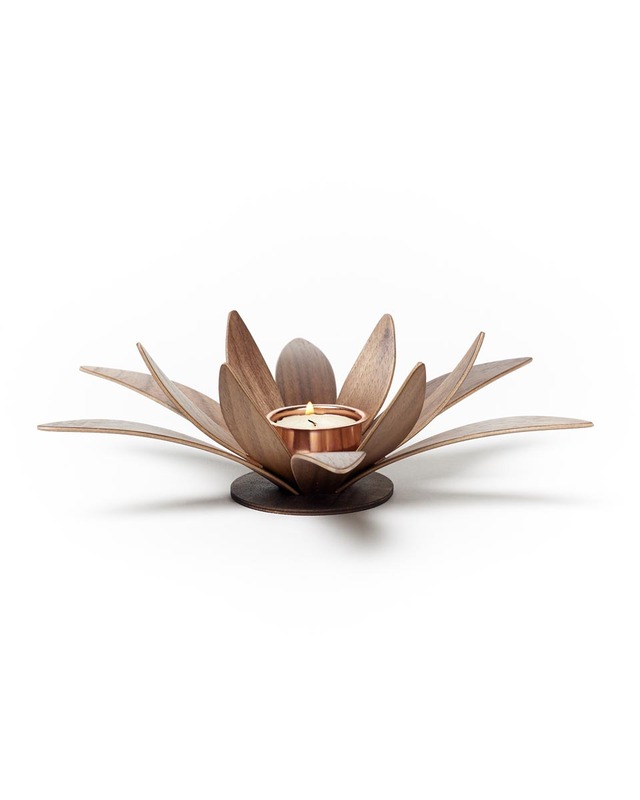 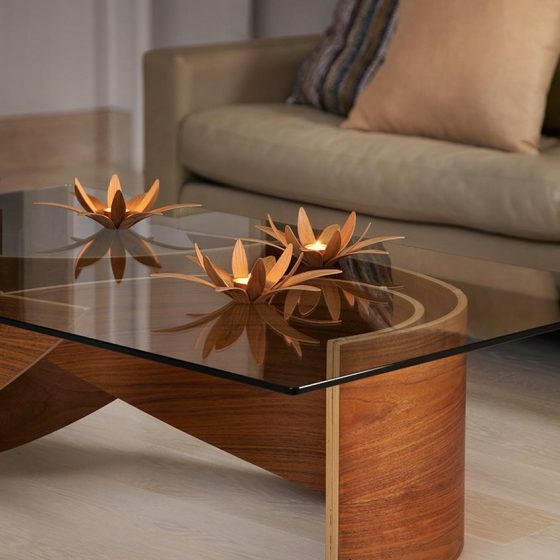 The candle light creates a stunning glow cast within the leaves and bounces shadows on the surface it sits on.